If you're going to wear a suit, don't just wear any boring mens dress shirt you have laying around. You need a dress shirt that has style for miles by Daniel Ellissa. 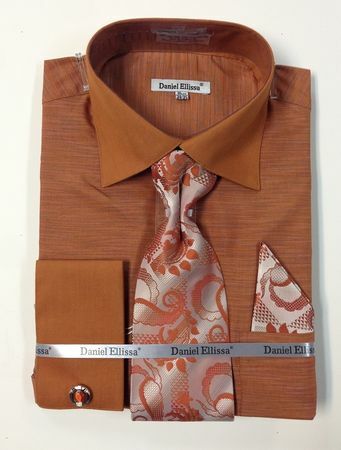 This eye opening rust color dress shirt features a matching tie and hanky set with french cuffs. Made of Cotton/Poly fabric.